It’s time to change your office blinds! FREE OCULAR VISIT for clients with a minimum of 5 items order in Metro Manila and selected cities in Laguna and Cavite. FREE INSTALLATION for selected cities in Laguna and Cavite. 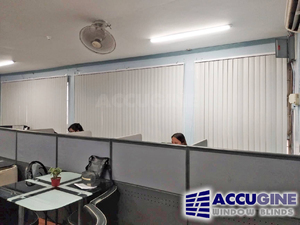 ABOUT US: Accugine is a supplier for several window treatment brands that boasts of its quality and stylish window covers. Our enterprise is also specializing in the craft and installation of doors, windows, and home improvement fixtures.